On December 1,2002, during the U.N. International Week of Science and Peace, Wang Yili was awarded the honorary title “Peace Emissary” in recognition of her contribution to the promotion of exchanges and cooperation between the people of China and the rest of the world. In 1998, Wang Yili was presented with the "Outstanding Woman Education Award"by the United States,in recognition of her outstanding contributions to international cultural and educational exchanges. At the same time she was named an honorary citizen of Monterey Park in California. She was also invited to Harvard to take a special program on entrepreneurial leadership and the community non-profit organization leadership training. 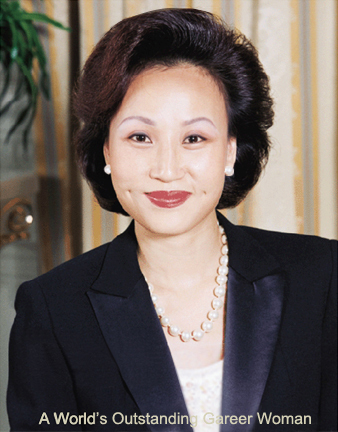 On October 18,1999, Wang Yili won the “Outstanding World Businesswoman Award” at the First Global Business Summit, held in Washington D.C. and attended by 1,700 delegates from 98 countries. She was the youngest and the only Chinese woman among the 18 winners. Downloading without written permission is not allowed.